Ballybunion Golf Club, Ireland – Brochures. Watch our Video and enjoy the views from The Old Course. Our spectacular views attract golfers from all over the world. 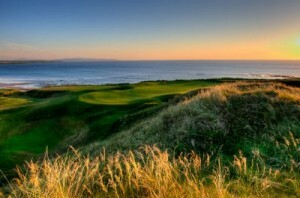 Ballybunion Golf Club plays a vital role in conserving the landscape into which its courses sit, ensuring perfect harmonybetween golf and the environment. The extensive dune grasslands not only play an important role in the strategicaspects of the golf course set up but also have significant wildlife value. Please enjoy our hole by hole guides to the wildlife and conservation on both our courses which will give you insights into the wildlife highlights of the area.